CUE becomes CRIM member, one of the few institutions outside of Quebec! Concordia University of Edmonton has become a member of the research network of the Computer Research Institute of Montreal (CRIM http://www.crim.ca/en/). CRIM is a research centre based in Montreal. Its mission is to elaborate industrial research projects with industrial partners and universities. We are one of the few member institutions outside of Quebec! 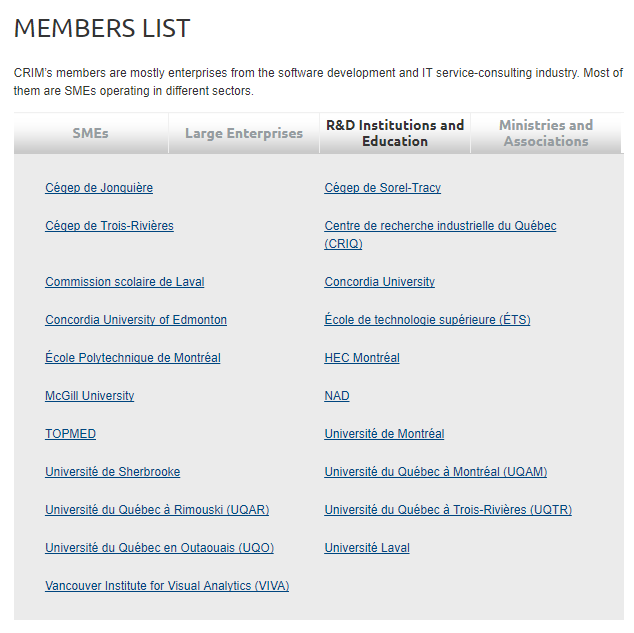 As a member of the CRIM research network, CUE will benefit from one of the largest networks of IT companies, research centres, and universities in Québec and Canada (http://www.crim.ca/en/become-crim-s-member/members-list). In addition, CUE will gain visibility in the Canadian IT environment as it will become a partner of key players in that environment (http://www.crim.ca/en/computer-research-institute-of-montreal/partners). CRIM will offer internships for CUE’s students from undergraduate and graduate programs to explore industrial research environment. The internships will include transportation fees from Edmonton to Montreal and living expenses. Dr. Fehmi Jaafar, from the Department of Information Systems Security and Assurance at CUE’s Faculty of Management, participated in a CRIM workshop in February 2018, dedicated to the new Cybersecurity Challenges in the Internet of Things. He presented an overview of his research activities in computer security and exposed the potential cyber-security issues of the Internet of Things.